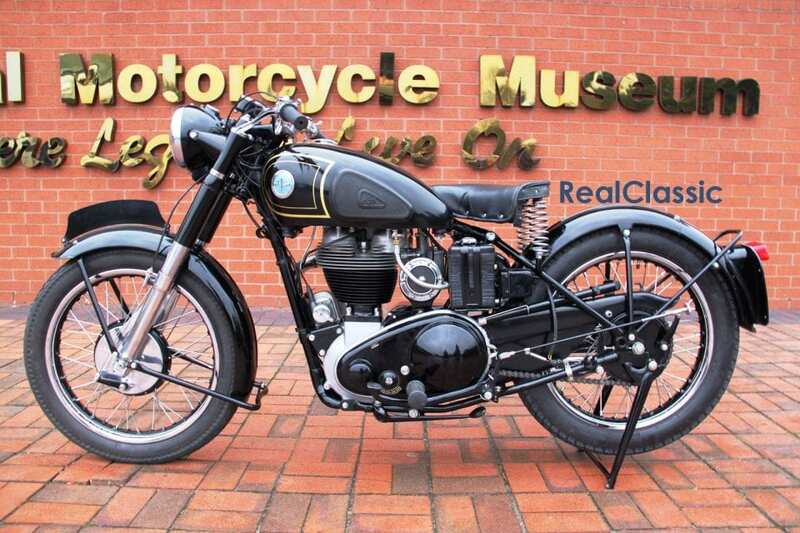 If you’re looking for a typical British bike, then the single-cylinder four-strokes built by Associated Motor Cycles immediately after WW2 are the obvious choice. 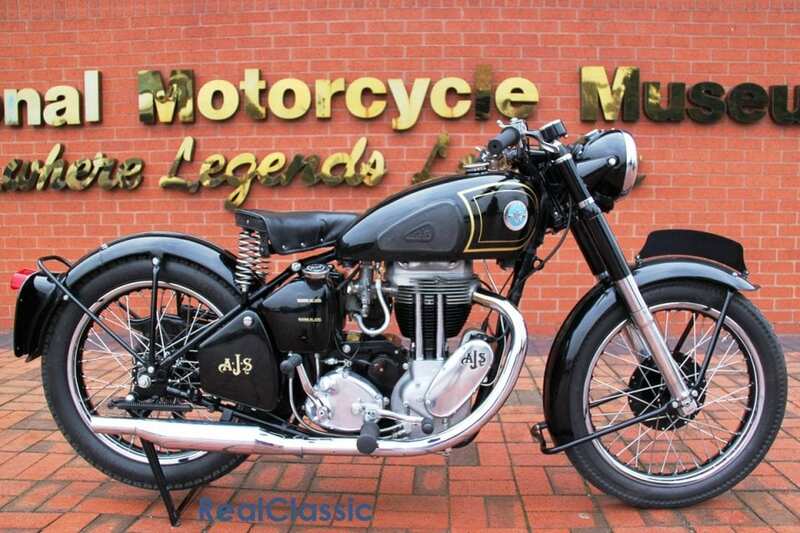 Small wonder then that the National Motorcycle Museum chose an AJS Model 18 as one of the prizes in their winter raffle. Honest, dependable and free of phoney pretensions, the Ajay 18 neatly balances price and performance. It’s an ideal ‘first Britbike’, full of character and charm. The marque benefits from a well-established and very active owners’ club, as well as excellent availability of most spares for popular models. 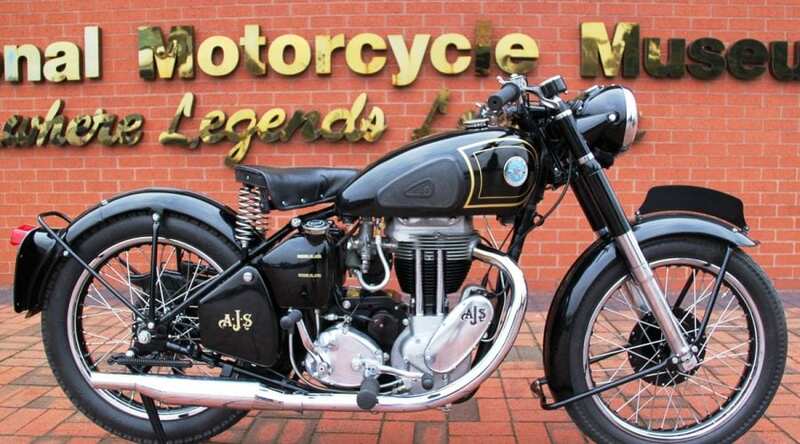 The 497cc AJS Model 18 (and its Matchless counterpart, the G80) were revealed in late 1945 and stayed largely unchanged for the following three years. 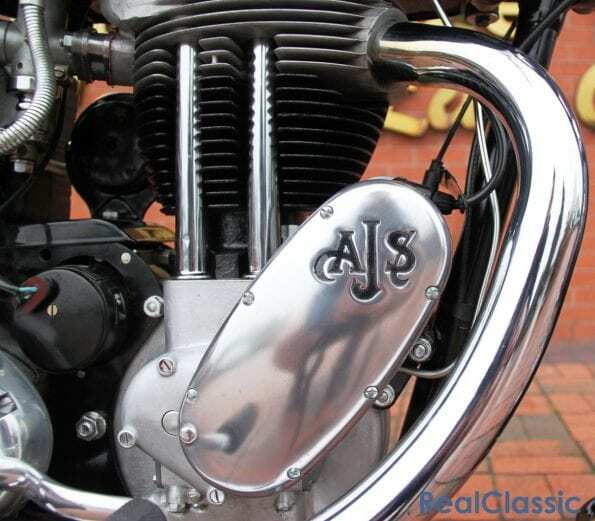 The 82.5mm bore by 93mm long-stroke motor gave 497cc and ran at 6:1 compression using the traditional British pushrod-operated overhead valves, dry sump lubrication with an external oil tank, and a four-speed separate Burman gearbox. A manually-operated magneto and 6-volt chain-driven dynamo, both by Lucas, provided sparks and lighting. All in all, as their specification suggests, the AMC singles were extremely English. The singles’ trials heritage bred near-perfect poise so, although seldom adopted by the café racer crowd, AMC singles were ideal for weekend mud-pluggers. 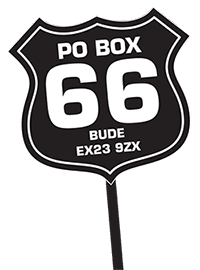 Similarly, they make splendid mounts for B-road riders today, providing you don’t want to travel much faster than 70mph. They’re jolly happy at 55mph to 65mph. Early iron head models are low, light and characterful, combining a sprung saddle and rigid rear end with a useful Teledraulic front end. 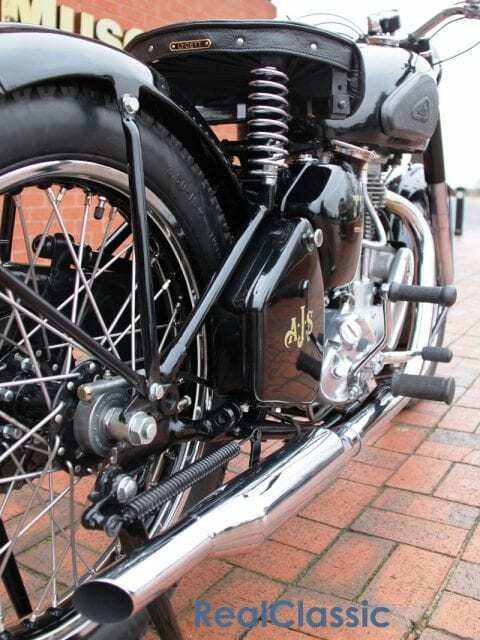 AMC’s front forks aren’t as famous as Norton’s Roadholders but they’re surprisingly advanced for their time and provide a predictable balance of confident, precise steering and impact-absorbing hydraulic damping. The 7-inch front brake on the post-war machines is considerably less effective than the forks: it’s adequate but you’ll need to employ the rear stopper in most circumstances. Over the years, and with the introduction of swinging arm suspension, the AMC 500 singles turned a touch puddingy as they made the transition from trials tools into all-round roadsters. Indeed, there are many riders who prefer the lighter, lower models with rigid rear ends to the longer and taller swinging arm incarnation. The 1954 machine which the NMM are giving away is perhaps the ultimate sprung-saddle rigid edition. It’s fitted with the firm’s excellent light-alloy cylinder head, Burman’s B52 four-speed gearbox which arrived in 1952, and benefits from a range of engine upgrades which were introduced for 1954 including larger inlet ports and a bigger carb, new camshafts and lighter flywheels. Even the brakes are reasonable. When the NMM purchased the Ajay was ‘tidy’ but not quite up to Museum standards. So the bike was completely stripped and refurbished by the NMM’s in-house restoration team. If you were at Motorcycle Live at the NEC then you might have seen the museum’s experts in action, recommissioning the Ajay so it would be ready to roll when the raffle is drawn on Sunday 23rd April 2017 at the Stafford Show. 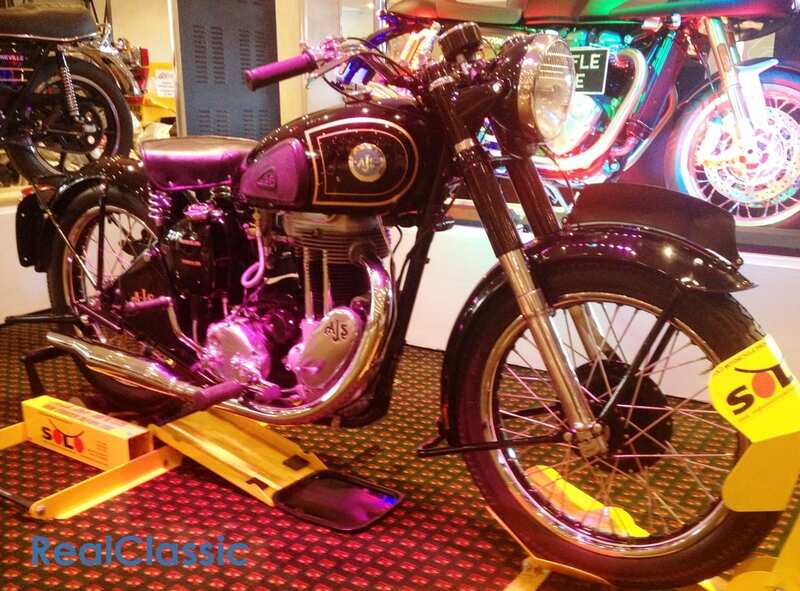 Find out more about AMC motorcycles with the AJS and Matchless Owners’ Club.